Molokini Crater is a natural wonder not to be missed. As one of only three sheltered volcanic calderas on the planet, it offers world-class snorkeling and diving, crystal-clear waters, and a staggering array of coral reefs and fish- many found nowhere else on Earth. Of course, a bucket list adventure like Molokini warrants only the best Molokini Tour Provider. 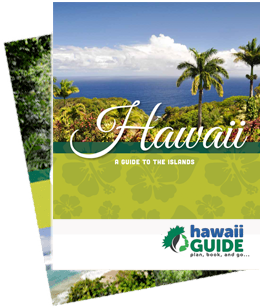 At Hawaii Guide, we have found just that- Pride of Maui. No other Molokini adventure company offers you so much in terms of water adventures, service, amenities, and sheer fun. Molokini is the most popular snorkeling location in Hawaii and one of the best in the world! Everyone from beginners to experienced snorkelers can jump in and enjoy life underwater. Sanitized equipment, expert instruction, unsurpassed knowledge of the island and its marine inhabitants, and, above all, their commitment to safety and fun make Pride of Maui shine. Enjoy Maui’s best snorkeling at Molokini, and have an unforgettable experience. For an even more spectacular trip, choose to visit Turtle Town where you can swim with Hawaiian green sea turtles. What is SNUBA, you ask? SNUBA is a hybrid of SCUBA and snorkeling and is the perfect way to explore Maui’s underwater world. With SNUBA, your air hose is connected to a tank at the surface, so you can breathe freely and explore up to 15 feet under without coming up for air. Best of all, it’s great for beginners because no certifications or experience is required. Anyone from ages 8-108 will love it! Tour Molokini for Maui’s best SNUBA experience- truly a once-in-a-lifetime adventure. Plus, Pride of Maui is the top SNUBA vessel in the US- the largest and most stable Maxi Power Catamaran for you’ll find. Pride of Maui will even Turtle Town if you’d like- all you have to do is relax, breathe, and have the adventure of a lifetime. Certified divers will not want to miss the chance to SCUBA dive from Pride of Maui- the ultimate SCUBA vessel that takes you to the best Maui SCUBA diving spots. No one shares your appreciation for the myriad of colorful Maui sea life like Pride of Maui. Best of all, no one gets left out. If your friends aren’t certified, they can SNUBA or snorkel- so it’s just as fun for everyone! Diving from Pride of Maui is sure to be the dive of your lifetime. Combine some of the world’s best SCUBA diving spots such as Molokini, Olowalu, Coral Gardens, and Turtle Town, with Pride of Maui’s superior amenities for your comfort and ease while diving- and you have the recipe for a perfect dive. If you are lucky enough to visit Maui between the months of January to March, you simply cannot miss the chance see the majestic humpback whales pass through. Pride of Maui offers Maui’s best whale watching. Only Pride of Maui provides a two-hour whale watch and one-hour snorkel combination. Add a delicious BBQ lunch and open bar and you have the best whale watching on the island. The humpback whales pass through annually. Having such an up close and personal encounter with these amazing creatures is, for many people, unforgettable. Best of all, whale sightings are guaranteed! Pride of Maui’s huge observation deck allows for loads of great photo opportunities- meaning you won’t miss a single breach or tail slap. Book Your Maui Ocean Adventures with Pride of Maui TODAY! Why Choose Pride of Maui? This content is sponsored by Pride of Maui. Guide of US is a travel destination media and marketing company that receives compensation from companies or organizations whose products or services are promoted on this site. We review and evaluate the services of each company to ensure they meet our highest quality standards for travelers. We are independently owned and any opinions expressed herein are our own.